Spy movies have always been a thing, ranging from witty interpretations such as Spy Hard, or more serious action filled films such as the expected hundredth release of Mission Impossible starring Tom Cruise. This time we’ll have to make do with Jennifer Lawrence in the lead as a Russian spy in our modern day society. While the actress started popping up everywhere after the success story that is the Hunger Games, we were pleasantly surprised by her acting skills in this new movie that pits the world’s two superpowers against each other, namely America and Russia. Dominika Egorova (Jennifer Lawrence) is a well known ballet dancer that performs in the Russian Bolshoi theater. Even though she is renowned for her skills, things go awfully wrong when an accident causes her to become unfit to continue dancing. When she learns that it was not actually an accident, Dominika exacts her revenge on the perpetrators by beating them to a bloody pulp. To keep her out of prison, her uncle Vanya Egorov (Matthias Schoenaerts), who works for the Russian Intelligence services, presents her a proposal to seduce a high ranking Russian VIP. When she accepted the task, she did not expect to witness the murder of said official, and she even less expected it to become something that might cost her her life. Once again her uncle presents her with an option to become a ‘Sparrow’, namely a Russian spy, that is well versed in the ways of seduction, making them ideal to get close to someone and extract the necessary information. Even though her studies aren’t finished, she is already sent out in the field to find the name of a Russian defector, even though it’s clear she doesn’t want this kind of life. The flow of the movie may not be the quickest, but the buildup of the story is simply perfect. You’ll get enough information, as well as interesting story material, while you are able to enjoy or ponder about what is going on. The movie will throw enough interesting twists and turns at you, allowing the movie to become interesting and not ‘yet another’ spy movie. Overall things are very original and well thought out for a movie genre that is already oversaturated as it is. We were surprised by the ending, as the movie tempts you by showing you different options for the ending, making you, the viewer, think about what the actual outcome may be. Jennifer Lawrence pulls off her difficult role surprisingly well, as she truly drives this movie forward. Our very own Matthias Schoenaerts does a great job in playing the somewhat dark and disturbing uncle who will do everything for his country. These two cast members are pretty much the most important in the film, but even so they are nicely supported by actors such as Jeremy Irons, Joel Edgerton and Mary-Louise Parker. Outside of the typical theatrical trailers and deleted scenes you’ll be presented with different snippets that together form a making of sequence. You’ll learn about the origin of the story, how it was adapted for the film, how the movie was made and insides about the cast. Overall the extras are certainly interesting to prolong your experience with the movie, but they are not really all that memorable to get that much extra information. 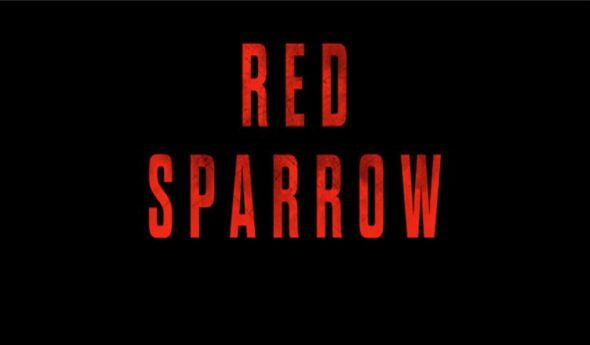 Red Sparrow is a very interesting and unique approach to the spy movie genre, not only by its thematic and the approach of how the spies handle themselves, but also because of the contrast between two countries that shouldn’t be at ‘war’ anymore. While Russia is depicted as antique and the Americans once again come across as the big saviors, it’s a Russian girl that takes the lead in this story, driving the American supremacy towards the back. If you’re looking for something to spice up your evening with enough excitement, action and some brutal scenes, then Red Sparrow will certainly be your cup of tea.